The Trump administration snuck out a report on the impact of global warming, and downplayed its devastating findings. It’s a missed opportunity to boost U.S. innovation, economic output and jobs. And unlike the big works projects of the 1930s, private capital can play a big role. 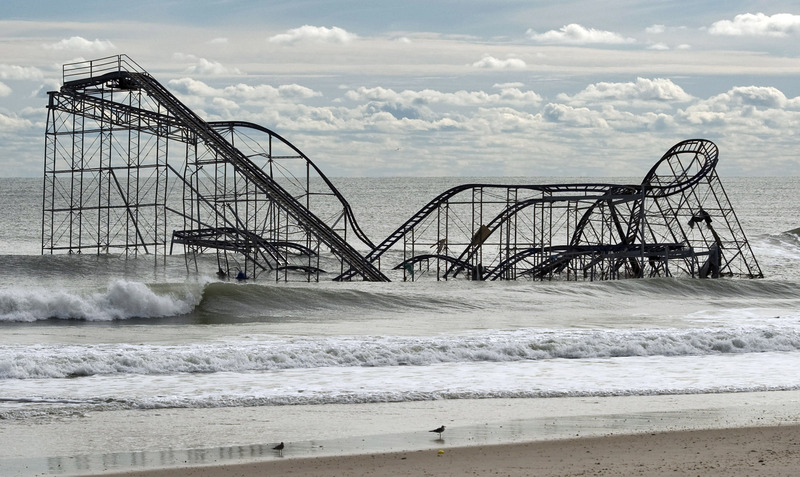 The remnants of a roller coaster sits in the surf three days after Hurricane Sandy came ashore in Seaside Heights, New Jersey November 1, 2012. A branch of the U.S. federal government on Nov. 23 published two reports detailing the impact of climate change in areas such as the environment, land and water resources, energy production and human health. The U.S. Global Change Research Program has a congressional mandate to research environmental change and its effect on society and works with 13 federal agencies to publish a climate assessment every four years. Its latest publications are a second volume of the Fourth National Climate Assessment and the Second State of the Carbon Cycle.